CHRISTMAS IS ALMOST HERE!!!! And with christmas being just two days away, I’m presenting my last roundup: the sweets. Everyone needs a little bit of sugar to keep them going, and here are my favourite sweet recipes for last minute desserts. It’s hot and time for fruity sorbets. First up on the list, this Lychee and Lemon Sorbet: made entirely out of fruit juice, this sweet treat is incredibly refreshing to end the meal with. Tiramisu – which means ‘pick me up’ – is a favourite at any party, and this lemon version a summery adaptation of a rich italian dessert. Find the recipe here. I love the mixture of savoury and sweet, and the addition of chilli to this frozen treat is just perfect for the spice lovers, like me! Find the recipe for Pineapple, Lime and Chilli Sorbet here. What to do when you’re told not to bring a thing? 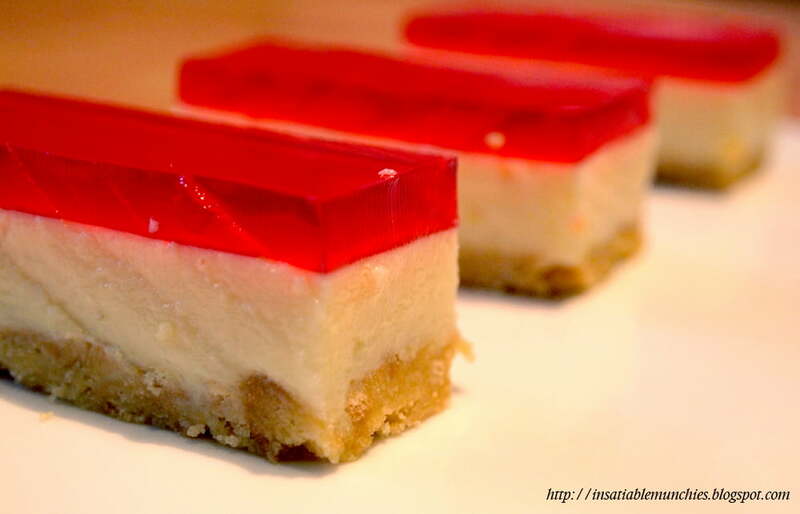 Jelly slice, of course! I remember going Christmas parties, and there’s always someone who always forgets the drinks. Well, you can always bring an iced tea to your next party! Recipe here. I know I’ve put up a lot of sorbet recipes, but it is summer, and I’m using the excuse that I’ve bought an ice cream machine for me as an early Christmas present. Here’s a refreshingly tart recipe for a blood orange sorbet, made just with some juice and sugar!! Also works if you want to use pomegranate juice instead of blood orange.